You know the word cholesterol - you’ve heard it before and probably know a little bit about it. Odds are you probably know someone with high cholesterol who is taking a statin drug, like Lipitor, to help lower cholesterol. And when you hear the word cholesterol or read it in this sentence, my guess is you immediately have a negative connotation with the word. Cholesterol=bad. Something to manage, avoid, or lower. But cholesterol is actually a very necessary part of your bodily functions and kind of a cool reminder of the beautiful, complicated organism that is your body. Since September is Cholesterol Education Month (yes, that’s a thing), we wanted to educate you a little on what cholesterol is and how to help manage it naturally. Cholesterol is the fatty substance, produced in the liver, that is necessary for critical bodily functions like building cell membranes, hormone production, and producing vitamin D and bile acids, which help you digest fat. Wait - so this fatty substance actually helps us digest fat? Kind of cool. Also cool is that cholesterol helps in the formation of memories. Your body needs cholesterol and it is not inherently bad or dangerous. How it combines with other fats and proteins (aka lipoproteins) to move throughout the body is what can potentially create health issues so it is important to understand the different elements of cholesterol in order to assess your cardiovascular disease risk. The sum total of your blood’s cholesterol content. This is a good marker to use in conjunction with the other cholesterols to assess for risk (rather than on its own). For instance, looking at the HDL/total cholesterol ratio is a better indicator of risk than just the total cholesterol alone. HDL is often called the “good” cholesterol because it removes extra LDL and takes it to the liver. This allows blood to flow smoothly and helps keep arteries open, reducing risk of heart attack or stroke. LDL makes up most of the lipoproteins in your blood and transports cholesterol from the liver into the cells. It is often called the “bad” cholesterol because of its relationship to plaque buildup in the arteries. Too much LDL in your blood can cause plaque to build up in your arteries, reducing blood flow, which can sometimes lead to heart attack or stroke. When your liver produces cholesterol, it packages it with fat in very low-density lipoproteins. About half of a VLDL particle is made up of triglycerides (a type of fat), and VLDL is released into the bloodstream to supply body tissues with triglycerides. As VLDL does this job, it changes into LDL to carry cholesterol wherever it is needed in the body. High levels of VLDL cholesterol have been associated with the development of plaque deposits on artery walls, which narrow the passage and restrict blood flow. This is a type of fat in your blood that is converted from calories your body doesn’t need. When your body takes all the calories it needs from the food you eat, the extra, unneeded calories get turned into triglycerides, which are stored in fat cells. Simple carbohydrates and alcohol are often converted to triglycerides. Known as Lp(a), Lipoprotein(a) is probably one cholesterol you haven’t heard of because it isn’t routinely tested on a cholesterol panel. However, it is considered another “bad” cholesterol because it can accelerate the creation of harmful, artery-clogging plaque, which narrows arteries and limits blood flow to your heart and brain. Unfortunately, this cholesterol is largely determined by genetics, and is something that should potentially be tested in anyone with a history (or family history) of high cholesterol, heart disease, heart attack, and stroke. While many food companies advertise certain foods as low in cholesterol, the truth is that dietary cholesterol from foods like eggs, meat, and full-fat dairy, is absorbed in pretty small amounts by your body. And while both dietary cholesterol and blood cholesterol include “cholesterol,” they aren’t really the same thing. While it may seem counterintuitive, eating more dietary cholesterol doesn’t usually result in an increase in blood cholesterol levels. Research shows that your liver accounts for any changes in dietary cholesterol - your liver makes as much cholesterol as it needs so when you eat more dietary cholesterol, your liver makes less cholesterol. 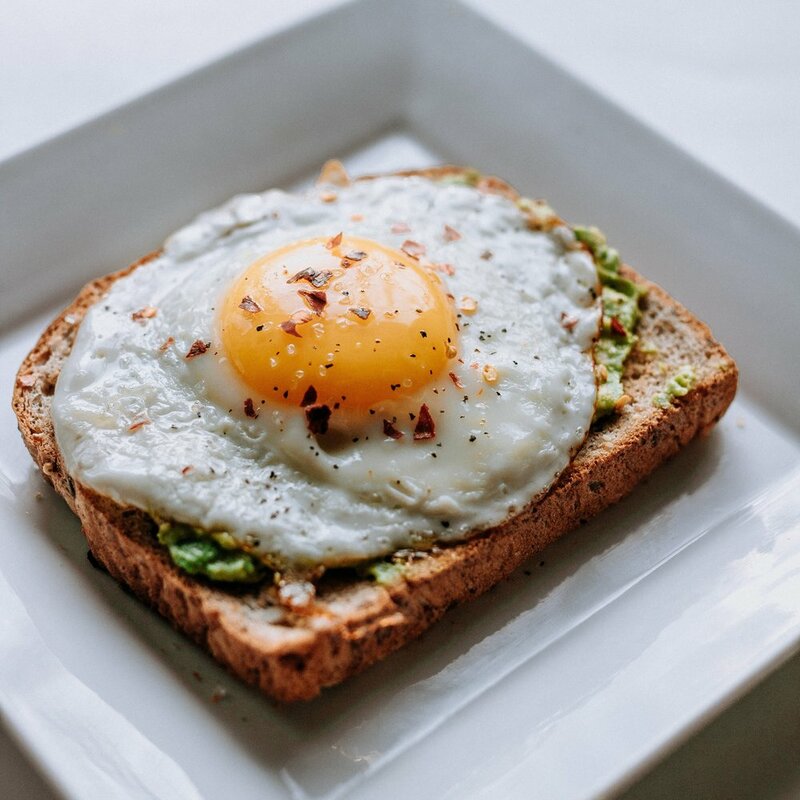 According to some research, foods that are high in dietary cholesterol have little impact on overall cholesterol in most people - that’s why you may have heard that eating eggs now isn’t bad for your cholesterol. However, it is important to note that there are some people who are considered “hyperresponders” - some estimates suggest that 25% of the population are hyperresponders. Thought to be genetic, hyperresponders typically do see a rise in blood cholesterol when they eat high cholesterol foods. While most people’s cholesterol levels aren’t impacted by dietary cholesterol, blood cholesterol can be negatively impacted by various things in your diet. The biggest culprit: trans fats. Trans fats are unsaturated fats that have been modified to make them more stable and solid at room temperature. It’s why trans fats are used in things like packaged doughnuts, cakes, cookies, and various spreads (like margarine) - the trans fats provide more texture than unsaturated liquid fats and can improve shelf-life. While they make food last longer on the shelf, trans fats are not good for your body. Your body actually processes trans fats in a different way than other fats. Consuming trans fats increases total cholesterol and LDL, while decreasing HDL (by as much as 21%), which is a bad combination for your health. If you see something that includes “partially hydrogenated oil” in the ingredients, don’t eat it because that includes trans fats. Monounsaturated fats - like avocados, olives and olive oil, and tree nuts (almonds, walnuts, pecans, and cashews) - decrease LDL cholesterol, while increasing HDL cholesterol (something you want). They may also reduce the oxidation of lipoproteins, which is a good thing since oxidation has been shown to contribute to clogged arteries. Polyunsaturated fats have also been shown to lower LDL cholesterol, as well as reduce the overall risk of coronary artery disease. Omega-3 fatty acids are the healthiest kind of polyunsaturated fat and they are typically found in fatty fish, like salmon, albacore or bluefin tuna, mackerel, trout, and fish oil supplements. Non-fish sources of Omega-3 come in the form of algae oil, seeds, and tree nuts like almonds, walnuts, cashews, and pecans. There is also research that suggest consuming polyunsaturated fats reduces the risk of type 2 diabetes by decreasing blood glucose and fasting insulin levels, as well as reducing the risk of metabolic syndrome. Dietary fiber mostly passes through your digestive system without being digested or breaking down, unlike most other components of food. There are two types of fiber: insoluble and soluble. Soluble fiber dissolves in water and creates a gel that improves digestion, reduces cholesterol and sugar, and keeps you feeling full longer. Insoluble fiber does not dissolve in water but helps bring water into your stool, which promotes bowel health and regularity. Your gallbladder releases bile, which is made up of bile salts and cholesterol, to mix with fat. We recycle some bile salts within our body but our body gets rid of some bile salts too. Soluble dietary fiber can bind to bile salts in the small intestine and help us eliminate the bile salts. Since we need cholesterol to make new bile, if we get rid of bile salts by binding them to fiber, our body has to use up more cholesterol to make more bile. This is why dietary fiber can help lower LDL cholesterol. Many processed foods, including cereals and commercial breads, have added fiber but they are not the healthiest sources of fiber. They often contain added sugars, chemical additives, and preservatives that can be harmful to your health. The healthiest, most nutritious options are fresh, nutrient-rich foods, like fruits, vegetables, legumes, nuts, and seeds. Foods with high soluble dietary fiber include: avocado, asian pears, raspberries, figs, artichokes, acorn squash, green peas, brussel sprouts, sweet potatoes, black beans, chickpeas, lentils, almonds, walnuts, chia seeds, flax seeds, and quinoa. It’s also important to note that eating fiber not only has benefits for cholesterol but it has been shown to be associated with a lower risk of all-cause mortality. Recommended daily intake of fiber is 25 grams for women (about 1 asian pear and 1 cup of black beans) and 35-40 grams for men (about 1 asian pear, 1 cup of black beans, and 1 medium avocado). You know exercise is good for you but did you know that it can actually improve cholesterol by reducing LDL and increasing HDL? Well, it can! Just doing 30 minutes of exercise 5 days a week - or 150 minutes per week - is all it takes to lower cholesterol and reduce the risk of heart disease. It can be as simple as walking; but increasing intensity, length, and/or adding in strength training can all increase the benefits. Yeah, you know smoking is bad but it’s really, really bad. It actually changes the way your body handles cholesterol. The tar in tobacco inhibits cholesterol from being taken from the vessel walls into the blood so it can be transported back to the liver. This can result in an increased risk for clogged arteries. Fortunately, this can be reversed by quitting smoking. While smoking can inhibit cholesterol from being transferred back to the liver, alcohol has the opposite effect. Alcohol actually improves the transport process, which reduces the risk of clogged arteries. To add to that, drinking moderate amounts of alcohol can improve cholesterol because the ethanol in alcohol actually increases HDL. This combined with the improved transport process lowers the risk of heart disease. The key here is MODERATE alcohol consumption, which is typically recommended as 1 drink per day for women and up to 2 drinks per day for men.